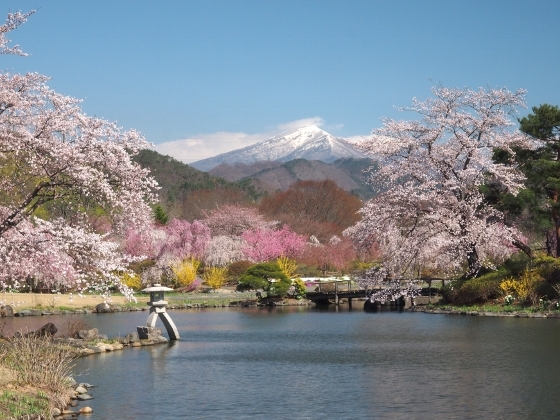 Ryokusuien Garden located on the outskirts of Koriyama was in its best spring season with colorful flower trees blooming altogether. Photo above was a view as of today with Mount Adatara in the back. There were some other locations for photos such as shown above. Manyoshu, the oldest poem collection in Japan, made headlines recently because a new era name “Reiwa” was said to be picked up from it. 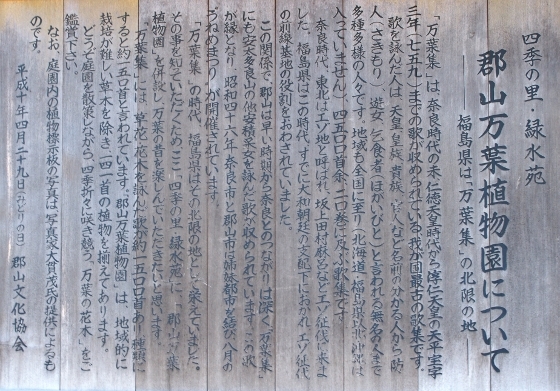 Photo shows a board stood in the Ryokusuien Garden, which said that Fukushima Prefecture was the northernmost place that appeared in Manyoshu, which was compiled in the 8th century. 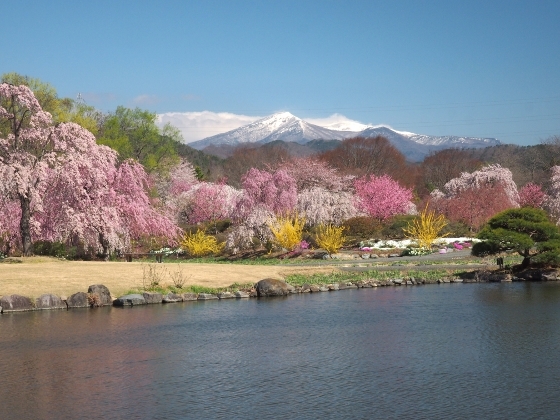 Such names as “Adatarayama” which meant Mt. 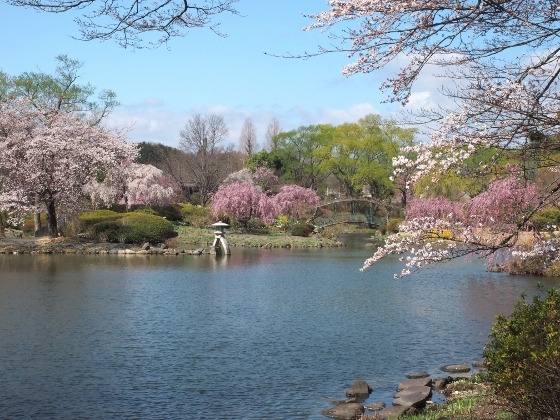 Adatara and “Asaka” which meant this Koriyama area appeared in the poems. 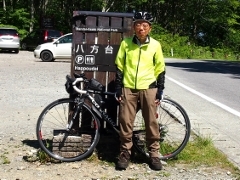 This shows that the power of Yamato Government in Nara Prefecture at that time extended up to this area. Due to this connection, Koriyama City and Nara City made an agreement on friendship city. The nearest JR station to Ryokusuien Garden is Kikuta Station of JR Ban-etsu West Line. 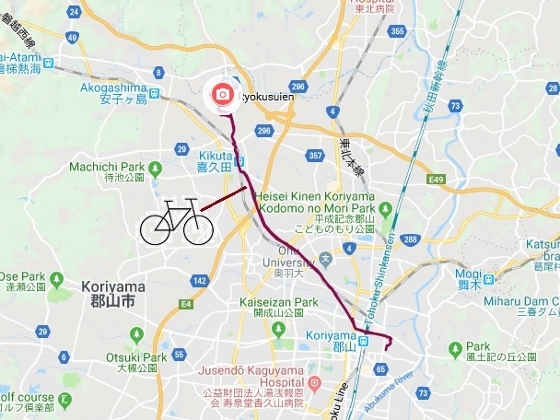 It’s about 3.3km walk from the station, although today I got there by bike from my home.